Happy New Year to all my friends & fans! May you achieve all of your goals & dreams in 2008. Watch for a change here, as the focus of this blog is about to shift to writing, publishing and author tips. With a continued dose of optimism, of course! And happiness is having my new seminar outlines & notes all prepared ahead of schedule! Being just three chapters from completing your novel! I have always jokingly said I had almost a dozen sites on the Internet! In addition to the sites below, I belong to numerous community groups and have detailed author listings & interviews on sites such as Teens Read Too and Fresh Fiction. Okay, I have just boggled my own mind!! Merry Christmas everyone! I'll not hide the fact that I celebrate the day as the birth of Christ, my Lord and Savior! Craig and I always treasure the day together, just us and the kitties. I pray everyone's day is equally blessed with love & family! Everyone has their traditions around the holidays. Saturday morning will be the opening of the gifts and watching the cats tear through the wrapping paper and boxes. Christmas dinner is usually around 1pm and is a much smaller spread than Thanksgiving. It's just the two of us and the cats, but don't feel sorry for us! It's our favorite type of Christmas! We saw Trans Siberian Orchestra again in concert in Raleigh, NC. Fan Club perks got us eleventh row floor seats and we were allowed to bring cameras! I took pictures with my little Nikon CoolPix until the battery died and ended up with almost a hundred good shots. TSO is just the most amazing experience - one cannot describe it! I've only been through a couple things in my life that were beyond words, and their concert is one of those moments. And I have seen A LOT of concerts, but nothing compares to TSO! It is moving, breathtaking, and almost life-changing. Christmas has now offically begun! 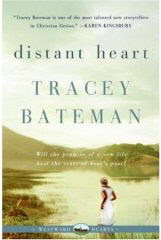 In the second book in the Westward Hearts trilogy, will the promise of a new life out west heal the scars of Toni's past?This series tells the stories of three strong women as they struggle to survive on the rough wagon train and lose their hearts to unlikely heroes along the way/ Thin Little House on the Prairie meets Francine river's Redeeming Love and you begin to get a sense of the riveting historical series that Tracey Bateman has created.In this second installment, we follow Toni Rodden, a former prostitute who sought to escape her past and build a new life, and a new reputation, when she joined the wagon train. Despite much resentment and distrust from the other women, Toni has finally earned a place on the wagon train and found a surrogate family in Fannie Caldwell and her two siblings. For the first time in her life, Toni actually feels free.But while Toni once harbored dreams that her new life might include a husband and family, she soon realizes the stigma that comes with her past is difficult to see beyond and that she'll never be truly loved or seen as worthy. As the trip out west begins to teach her to survive on her own, she resolves to make her own living as a seamstress when the train finally reaches Oregon.But despite Toni's conviction that no man will be able to see beyond her marred past, Sam Two-feathers, the wagon scout and acting preacher for the train seems to know of a love that forgives sins and values much more than outward appearances. Will Sam have the confidence to declare his love? Will Toni be able to trust in a God that can forgive even the darkest past? Faith, love, and courage will be put to the test in Distant Heart. We will be seeing them in concert VERY soon! We're sitting on the floor, eleventh row - gonna get snowed upon! In the meantime, I found them on YouTube. A guy in Ohio decorated his house and set the light to go with their song, "Wizards in Winter" - it's absolutely incredible! And this was LONG before Miller decided to make it a commercial! Last night at our photo club Christmas party, one of the members told me that a woman in her mom's group had recommended my books. Ashley laughed and said that she knew me. The other woman didn't believe her! Ashley told me that was the definition of famous - when people don't believe you know a celebrity, that means they are famous. I don't know about famous, but I did think it was pretty darn funny! "Recognition is evrything you write for: it's much more than money. You want your books to be valued. It's the basic aspiration of a serious writer." I have numerous Publishing, Promoting and Overcoming Obstacles seminars scheduled for next year! My last and final stop for 2007 was yesterday at my favorite Waldenbooks. It was a repeat visit, and I'd not planned to do any appearances after Thanksgiving, but they'd begged me to return. I have to admit I am a little beat. The tour for JAMES was exhausting, too. Fortunately HEATHER will not be out until 2009, which gives me a chance to recover next year. I'll still make appearances, of course. I've numerous seminars and book festivals, plus I'll do some signings in the spring. But it won't be at this fall's break-neck speed. I have no regrets though - this has been an incredible year, full of new opportunities and a slew of new friends. I wouldn't trade that for anything in the world! An author and friend of mine currently has a book out that many women need to read! Is packed with information which not only empowers battered / abused Christian women to navigate the minefield of abuse and domestic violence, but it also empowers churches, Christian Ministries and individuals to offer compassionate, effective and biblical support to the battered or abused women within their congregations and spheres of influence. Season’s Greetings! Thank you again for your support. 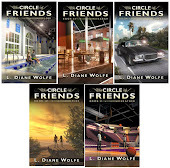 This year yielded incredible results, both for myself as an author and for my series, The Circle of Friends. Book IV of the series, MIKE, was released last spring and enjoyed a successful promotional launch. This resulted in numerous interviews and another flurry of book signings, of which I have done close to 250 now in my career, and some great reviews for the fourth book. Internet presence increased tremendously for my books. In addition to my main website and blog, there are now dozens of sub-sites and numerous book clubs featuring my series. I co-manage an online writer’s group and contribute articles for several other sites. My series now has readers in over a dozen new countries, including South Africa and New Zealand. Two virtual tours have also increased online awareness and garnered many new fans. My previous experience as a speaker began to pay off this year as I began conducting seminars at North Carolina colleges. I cover publishing and all of the options open to writers today; promoting and marketing; and overcoming obstacles, a very interactive and creative seminar. My appearances now include middle and high schools, where I teach the students how to design and build a believable character. The greatest honor came when I was asked to be a featured speaker at the Book 'Em Festival in Virginia, alongside authors Catherine Coulter and Ellen Hopkins, and participating in a panel discussion on best sellers and a solo talk on book tours. Next year promises many things as well. While HEATHER: Book V will not be released until 2009, (as it is now under the guidance of a publishing house), I will continue to tour and promote my series. My seminars are scheduled well into May and will continue through the fall. I also intend to complete my first science-fiction novel, a non-fiction book on publishing & promoting, and begin a historical romance. There will also be revisions to the first four books of the series, including new graphics for Books I and II. None of this would be possible without the support of fans, book industry people and those in the media. Thank you for your enthusiasm and belief! Salacious material may sell, but I refuse to compromise and will continue to push uplifting and positive books for young adults and adults. Making a difference is what truly matters in life! Local police had tagged single mom Becky Dennison as their prime suspect. But she'd only been in the wrong place at the wrong time...admittedly, with her boss's lifeless body. Sure it looked bad, but Becky had no motive for killing...even if she had opportunity.When the director of the retirement farm for thoroughbred champions is murdered, Becky Dennison teams up with the handsome manager of a neighboring horse farm, Scott Lewis, to find her boss's killer. Soon the amateur detective are hot on the trail of the murderer...even as their feelings for each other deepen.The amateur sleuths uncover a trail of clues that lead them into the intricate society of Kentucky's elite thoroughbred breeding industry. They soon find themselves surrounded by the mint julep set - jealous southern belles and intensely competitive horse breeders - in a high-stakes game of danger, money, and that famous southern pride.And for Becky and Scott, this race on the Kentucky tracks has the greatest stakes of all: life or death! Book 'Em 2008 - Charleston! The Charleston County Sheriff's Office in South Carolina will be hosting their 1st Annual Book 'Em Event on Saturday, May 24, 2008. Book' Em will take place at Wando High School in Mt. Pleasant, SC. Book 'Em originated in Waynesboro, VA in 2004. They will be holding their 5th Annual Book 'Em on Saturday, October 18, 2008.You can visit their Book 'Em pages by visiting www.bookemfoundation.org. This ground-breaking Book Fair highlighting the connection between illiteracy and high crime rates features dozens of authors who will be signing their books and giving talks on writing, the publishing industry, and other topics of interest throughout the day. "The First Best-Kept Secret of Total Success is that we must feel love inside ourselves before we can give it to others." "The Fifth Best-Kept Secret of Total Success is that the reason so many individuals fail to achieve their goals in life is that they never really set them in the first place." If you need proofreading, any type of editing, ghostwriting or other help with a book, please take a look at my writing services and editing services page at A Writer's Edge. The Writing Help page also contains some free articles authors might find useful. Do you earn as much as you would like from your book? Chances are, your income from book sales is not enough to support you. My Cash Content Formula course will be officially released next week, but you can get a free preview at http://www.IdeaLady.com/pe.htmWhen you sign up for my free newsletter you will get an ebook and one hour audio about creative ways you can profit from your content. You will also be among the first to be able to purchase the new Cash Content Formula course, and you will have access to special bonuses offered only to my newsletter subscribers. 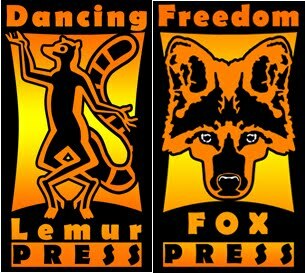 One of my several hats is providing Cataloging-in-Publication blocks forindependent and self publishers. I have over 10 years of experience inlibraries and with cataloging, and when I started learning about selfpublishing I soon discovered there was a need for CIP data done quickly,at a reasonable price, and with the customer's needs in mind. Please think of me for your CIP block needs! If you ever need a professional and fast turn around on a book project, we provide editing, interior design and layout, and cover design services. With almost eight years in book retailing and eight successful years in publishing, we know what works. Having written over 1,000 book reviews since June of 2002, we know where the trends are headed. We know how to do all stages of book writing, production, and selling.